We all know technological advances help improve our lives every day. Everyone has a smart phone or tablet now. How did we ever function without them? Digital Camera Surveillance systems are more affordable than ever, and are another tool that can help you immensely after an accident. Of course in most states, the person who caused the accident should pay for the accident through their insurance, not yours. But determining the at-fault party for a claim can be a very difficult matter for police and your insurance provider. “He Said” and “She Said” statements can muddy the waters so much that both parties sometimes end up paying for their own damages, regardless of who was really at fault. What’s worse is when the innocent party is found at fault due to lack of evidence. 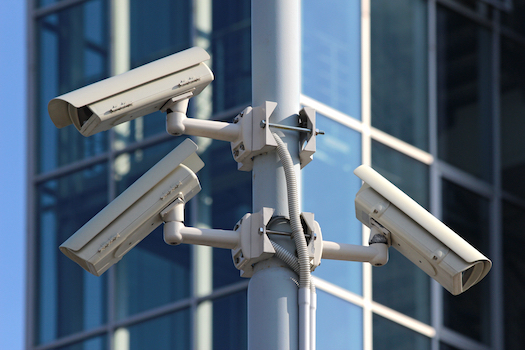 A surveillance camera can provide the proof needed to determine fault. Another benefit of adding camera surveillance to your rig involves the truck stop or parking lot accidents. Insurance companies are often faced with a claim by a trucker in which the other guy backed into your truck then drove off, or the police won’t provide an actual police report because it happened on private property. That insurance adjuster is like every other worker bee at the end of the day. They just want to process the paperwork to pay the claim, and clear off their desk. Your report of what happened along with good digital images helps that insurance adjuster pay your claim quickly and fairly….and you avoid the aggravation of that out of pocket $1,000 collision deductible.